Argentine authorities, industry players and unions are expected to sign this week a long awaited federal mining agreement that unifies existing legislation across the country, as part of an ongoing effort to jump-start investment in the sector. The nation, once a favourite of mining investors, has fallen behind its neighbours Chile and Peru despite containing rich deposits of copper, gold, silver and zinc. Currently, local regulations are not only tough, but also diverse, with seven of the country's 23 provinces having a full ban on the use of cyanide. Until now, local regulations were not only tough, but also diverse, with seven of the country's 23 provinces having a full ban on the use of cyanide over to environmental concerns. Since taking office in late 2015, President Mauricio Macri has been adopting measures to revive the country’s mining industry. One of the first ones was eliminating a 5% tax on mining and energy companies in February last year. Now, his administration is about to pass a nationwide mining law in hopes to pave the way for Macri’s most ambitious goal — to double investment in the sector to $25 billion in eight years. Under the previous President Cristina Fernandez, who increased the state's role, Argentina received only $10 billion for the 2007-15 period. During the same years, Chile’s mining investments totalled $80bn and Peru’s $52bn. 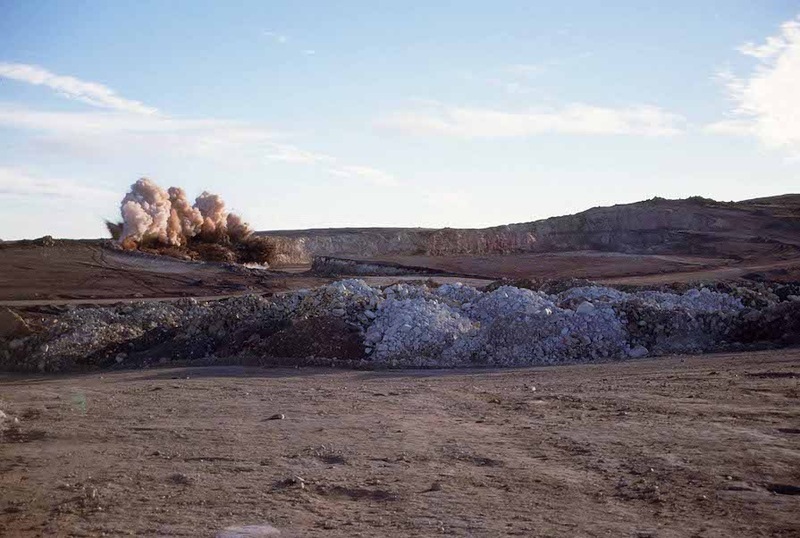 BMI’s experts say the other risk will come from the increased scrutiny of miners’ water usage, which is likely to heighten tensions between companies and local communities and leading to additional regulations. 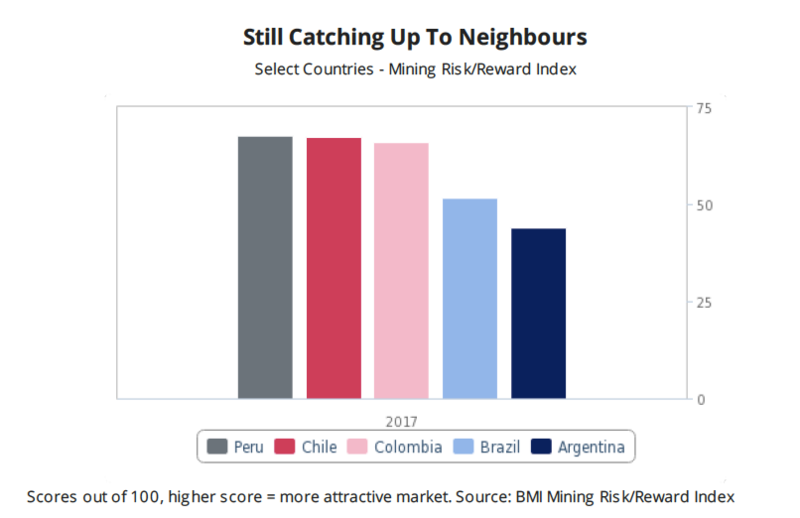 “While we expect the focus on supporting mining industry growth at the federal level to offset provincial issues, local opposition and political pressure could hurt Argentina's attractiveness as a mining investment destination,” BMI concludes.